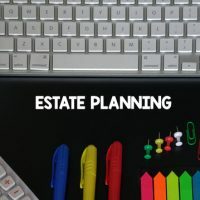 Estate planning involves preparing for life events that are unexpected, and the breakup of your marriage may be one of those events. As difficult as the present time may be, it is important to consider how a divorce could your own future, as well as the financial security of those you care about. The New York State Unified Court System offers guidelines for understanding the state divorce laws and how they apply to your case. Under the law, marital assets are divided on an equitable basis. This means that rather than splitting all jointly owned or acquired property 50/50, the judge in your case will aim for a division that is fair, but not necessarily even. Only marital assets are considered during this process, which means any property you owned prior to marriage, any personal gifts or family inheritances may be exempt from these proceedings. Make a complete inventory of all marital property and assets, including homes, cars, furnishing, and financial accounts. Make a list of all debts that are currently owed, including mortgages, personal loans, and credit card balances. Establish an individual checking and savings account, and transfer pay or benefits directly deposits to these accounts. Make a list of how you and your spouse each contributed to your assets, as well as each of your spending habits. It is important to be aware that, depending on the length of your marriage, alimony may be an issue if either you or your spouse has a considerably greater earning potential or sacrificed career or educational opportunities to support your family. Your will: You may need to make changes if your spouse is your estate administrator or named as a primary beneficiary. You may name your children to inherit instead, but if they are underage, you may wish to set up a trust to assist in managing these assets. Power of attorney and healthcare POA: You will want to make changes if you have given your spouse power of attorney over your finances or health care in the event you are incapacitated. Trust documents: As stated above, you may wish to establish a trust to provide for underage children and you may need to remove your spouse from any existing trust documents. Life insurance and pension benefits: You will need to change beneficiaries both on any life insurance policies you have, as well as on any pension benefits you may be entitled to from an employer. The above covers some of the more basic issues to consider in estate planning and asset protection during a divorce. To discuss your individual options and the specific issues involved in your case, call or contact the offices of Cavallo & Cavallo online today to request a consultation in our Bronx or New Rochelle office.